Glen Gardner chose to play his college ball near his home in New Jersey and his coach at Rutgers was happy for that, according to The Bangor Daily News. That's because Gardner lead the team's 1986 campaign going into the regionals in six different offensive categories, including batting average, home runs and RBIs, all as a freshman. "He's a very aggressive hitter," Hill told The Daily News that May. "He's a big, strong kid who has a real quick bat. He's a good pro prospect." 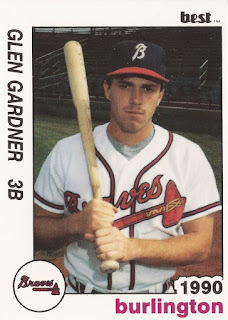 Gardner was enough of a pro prospect to get drafted twice, once in 1986 and once in 1987. His pro career, though, ended up being brief, just three seasons. He never made AA. Gardner has, though, returned to Rutgers. Gardner has been back since 1991 as a coach and, most recently, as the school's director of baseball operations. 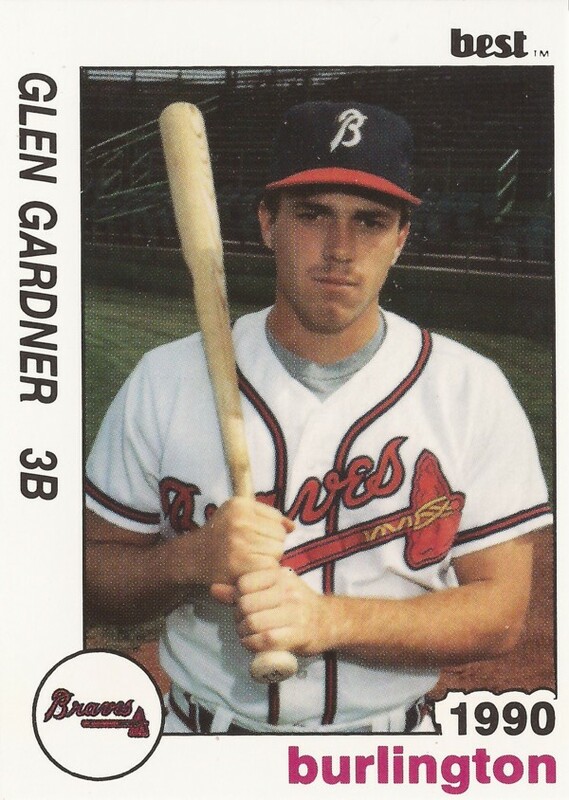 Gardner's pro career began in 1988, signed by the Braves as a 59th round draft pick out of Rutgers. He was drafted the year before by the Padres, and much earlier in the 13th round. He initially indicated he would sign, but later chose to stay in school. At Rutgers as a player, Gardner played three seasons, earning all-conference honors three times. When he turned pro, he had the all-time career records in six categories and was top-10 in four others. In 1997, he was inducted into the school's Hall of Fame. With the Braves, Gardner started at rookie Pulaski. He hit .316, over 68 games. He also hit 10 home runs and knocked in 51. He moved to single-A Sumter, hitting .298 there, with six home runs. He picked up three hits, one of them a home run, in a May game. That June, Gardner made the South Atlantic League All-Star team as a utility player. Gardner moved to single-A Burlington for 1990. There, he hit .260, with eight home runs. It was his final season as a pro. Soon, Gardner was back at Rutgers as an assistant coach and later director of baseball operations at the school. In 2004, Gardner worked to get his team's pitching in order after a rough stretch. "It all starts on the mound," Gardner told The Daily Targum at Rutgers. "If we can get that straightened out, then everything will get better and we're a pretty good team."